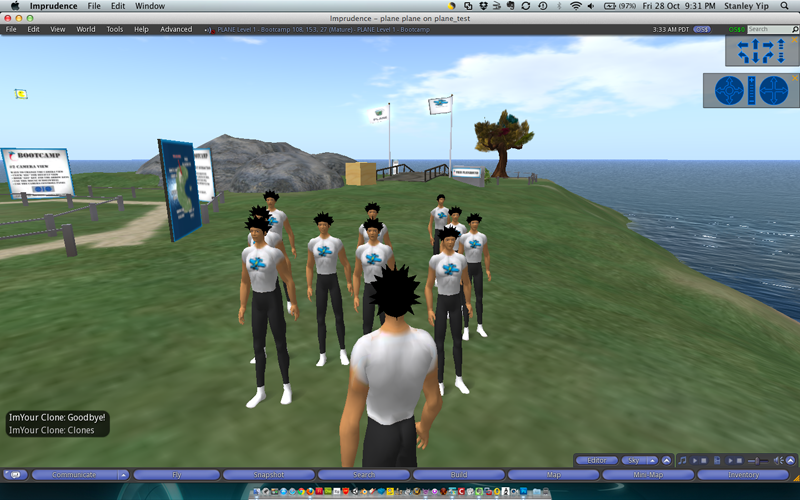 On our PLANE virtual world Bootcamp we have 3 NPCs (non-player characters). 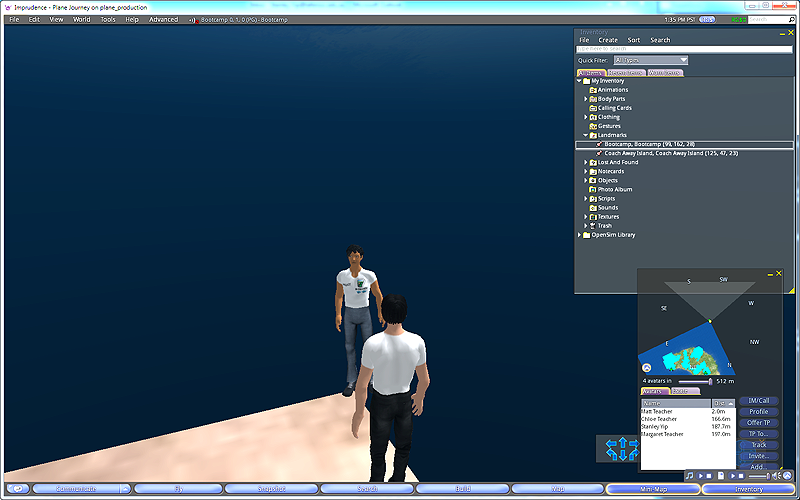 During our Feb 2012 user trials we had a server crash and the PLANE virtual workld grid had to be restarted. On restart our 3 NPCs disappeared. The server re-boot must have scared them away! With some manual resetting of the scripts they (were found and) appeared again. However Matt mysteriously disappeared after one of the trial sessions. I eventually found him at one of the bottom corners of the Bootcamp island. Reset his postition co-ordinates and all is good again. I was wondering why my 3 NPC avatars kept disappearing on me. So it turns out that server restarts of the region cause them to disappear, as expected, (I should have known). The solution is to have set interval time to test for the NPC UUID that is stored in the object that created it. In my case I’m using an invisible bounding box that serves to protect the avatars position from other real player avatars bumping them around and also to house the chat dialog and other scripts of the NPC in that object. There should be 2 of Chloe, the player avatar Chloe and the NPC avatar Chloe. Where is she? There she is! Even after a server restart. Clone avatars made using script. NPCs - Non-Player Characters. A simple script that clones the user avatar touches the prim. 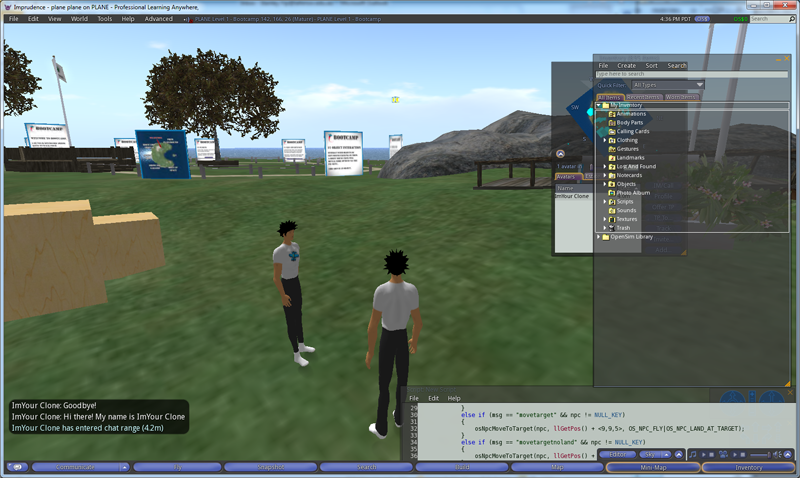 One of the new features in OpenSim 0.7.2.0 is that NPC functions are largely fixed and there are new NPC functions added. 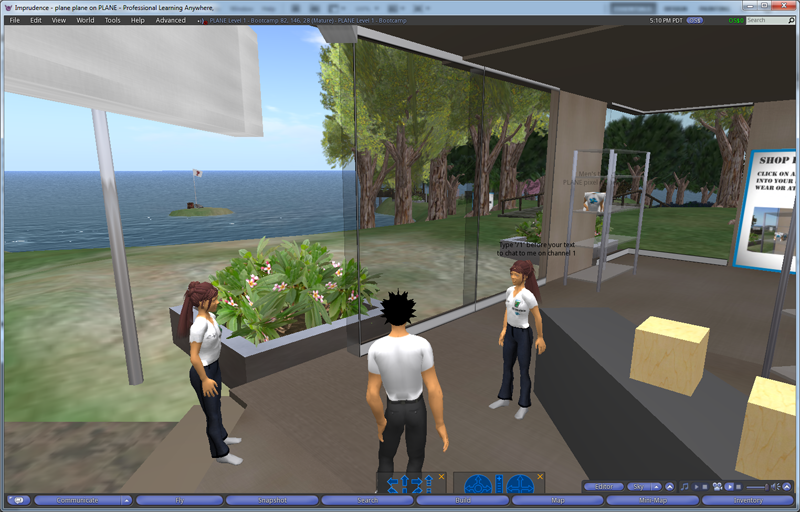 NPCs open up a whole heap of possibilities particularly in the context of designing a game in the OpenSim virtual world. and of course zombie avatars!